During his confirmation hearing, our current ambassador to China, former Sen. Max Baucus, admitted: “I’m no real expert on China.” At least he was being honest. In contrast, his predecessor’s predecessor certainly was. A former Ambassador to Singapore, Gov. Jon Huntsman was familiar with the region and fluent in Mandarin. However, his greatest asset was probably his adopted daughter Gracie Mei Huntsman. Vanessa Hope chronicles their posting to Beijing in All Eyes and Ears (trailer here), which screens during the 2015 Tribeca Film Festival. Huntsman’s nomination was a bit of a surprise in 2009, especially considering Huntsman was still widely seen as a conservative at the time. He would leave the Utah Governor’s Mansion with high marks from the Cato Institute, after having signed an ambition school voucher program into law. However, it was fortunate America had an experienced adult serving as ambassador during Huntsman’s eventful tenure, which would include the aborted Jasmine Revolution and the diplomatic crisis arising from blind dissident attorney Chen Guangcheng’s request for asylum. 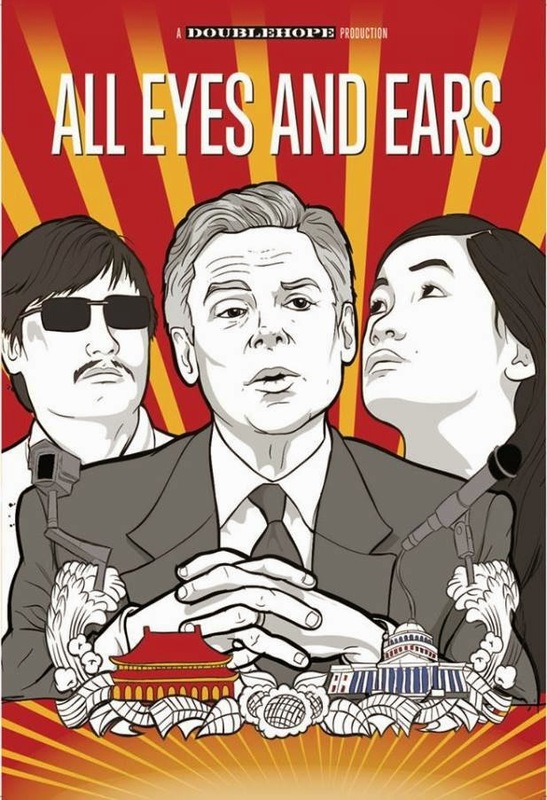 Essentially, All Eyes follows Huntsman’s term of service from three perspectives: that of the diplomat, his adopted daughter, and the so-called “Barefoot Lawyer.” While braiding the three threads can get a little unwieldy, it is crucial to have Chen’s viewpoint, because it often acts as a corrective to Communist Party’s narrative. As a diplomat, Huntsman acts scrupulously diplomatic, whereas young Gracie Huntsman has a very personal reaction to the events unfolding. Of the three vantage points, Hope arguably favors hers—and it is easy to see why. She is clearly a “good kid” with remarkable poise. Commentators in the film make the point probably no other Chinese adoptee will ever return to their birthplace under similar circumstances. Most likely, this is true, but Hope never really delves into what Gracie Huntsman truly represents to the Chinese people. She documents the Huntsman family’s return to the orphanage she was adopted from, which all parties clearly find quite moving. However, China’s One Child policies were very likely a major reason why her name is now Huntsman, yet they are only mentioned in passing. Likewise, the widening gap between the oligarchical urban haves and the provincial have-nots are a direct cause of other children getting put up for adoption. Only Chen talks about these issues in the film, which is why it is so important to have him there. Frankly, so many significant events transpired during Huntsman’s stint and Hope’s three primary POV figures are so compelling, All Eyes could easily be expanded to a longer form series, which reportedly might be in the works. 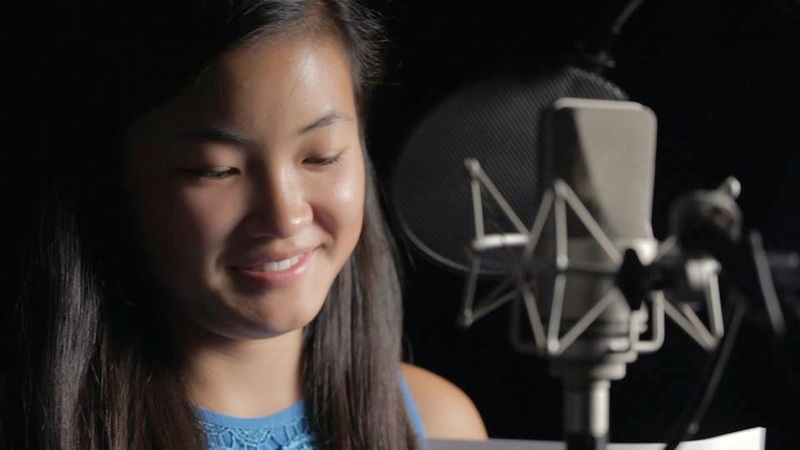 Yet, somewhat ironically, Hope’s short doc China in Three Words (also featuring the Huntsmans) is even more incisive and grabby. Still, Chen Guangcheng and Gracie Huntsman definitely deserve your full attention (but some of the old China hands, not so much). Recommended as a reflection of a good deal of contemporary Chinese reality and the often awkward messiness of diplomacy, All Eyes and Ears screens again tonight (4/24), at the reasonably located Chelsea Bowtie, as part of this year’s Tribeca Film Festival.